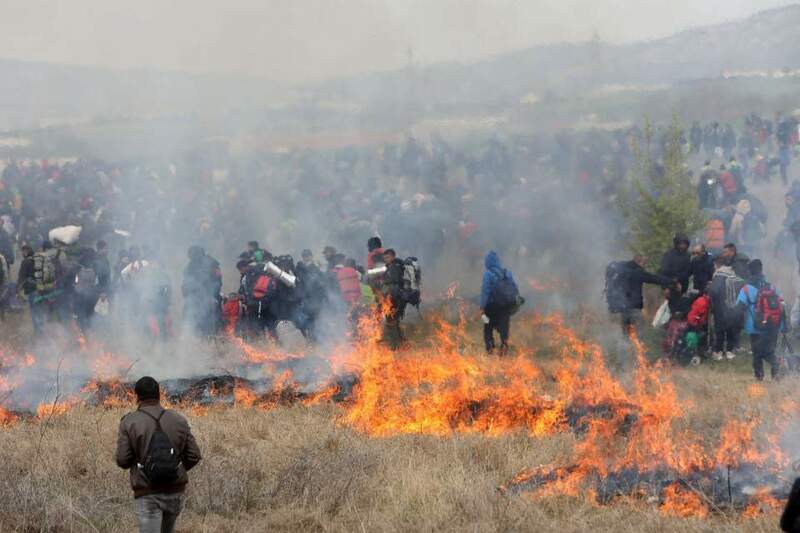 In comments to News247 radio station on Monday, Migration Minister Dimitris Vitsas indicated that international human smuggling rackets are behind the upheaval at Diavata, near Thessaloniki, last week. Referring to three days of protests near a state reception center in Diavata by migrants wanting to reach the border and travel on to western or northern Europe, Vitsas said that the upheaval had been triggered by traffickers operating in Turkey. "They are international rackets, international criminal rackets," he said. In 2018, Greek authorities arrested 350 traffickers of many different nationalities, he said. As for the migrants who clashed with police near Diavata in a bid to travel north, they were "victims of disinformation," he said. The minister said on Tuesday he will travel to the eastern Aegean island of Samos where the state reception center for undocumented migrants is particularly crowded.